The Kansas Air National Guard is approximately 2,300 airmen strong. Headquartered in the State Defense Building, Topeka, it has two main units: the 184th Intelligence Wing, Wichita, and the 190th Air Refueling Wing, Topeka. Additionally, a detachment of the 184th Intelligence Wing operates Smoky Hill Weapons Range, Salina. The Air Component of the Joint Forces Headquarters Kansas provides command and control of Air National Guard resources during state emergencies, interprets United States Air Force and Air National Guard policies, and provides evaluation, issue resolution and action recommendations. Brig. 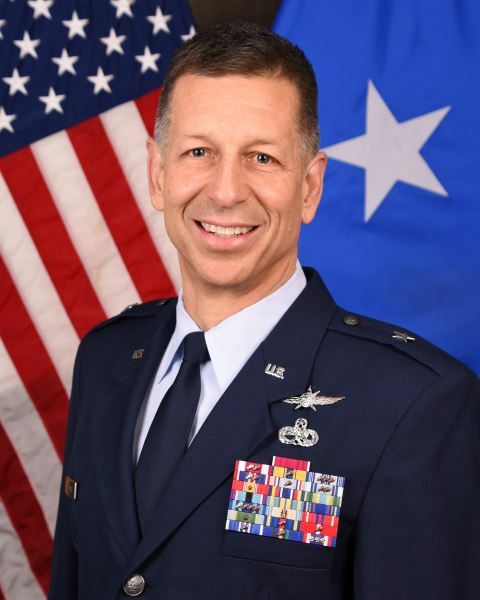 Gen. David A. Weishaar is the assistant adjutant general - Air Component and commander of the Kansas Air National Guard. The JFHQKS-Air Component directs and coordinates the Air Component of the Adjutant General’s Department and is responsible for working joint issues with the Kansas Army National Guard and Kansas Division of Emergency Management. Lt. Col. Dave Young is the director of staff - Air, and Command Chief Master Sgt William Stacey is the command chief for JFHQKS - Air.